Back Entrance of Westbury House. When I write about a house, I tend to write more from a factual perspective and less from an experiential one. I research as much as possible, and then relay it with pictures. This house had a different impact on me. 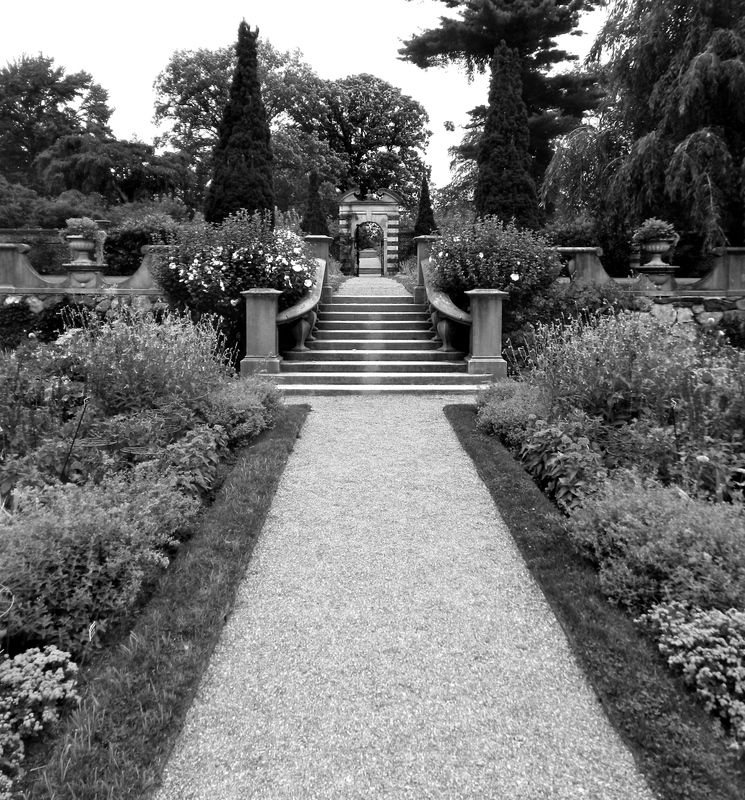 Though Westbury House pales in comparison to the size of some of the past homes showcased in New Jersey, it overwhelms with its picturesque landscape and impeccably preserved gardens. It was the first estate that I left drawn more to the property than the house itself. It was the first house that I could really feel the presence of the past stronger than the present. When I first arrived at Westbury House, it wasn’t the magnificent gate or the mystery of what lay hidden from the road that lured me in. I could not remove my eyes from the most breathtaking, tree-lined drive I have ever witnessed. From a distance, it appears that they are perfectly sculpted hedges that soar up to the clouds, but upon closer inspection, they are unique trees with branches that slope down to earth creating the illusion of lush walls. 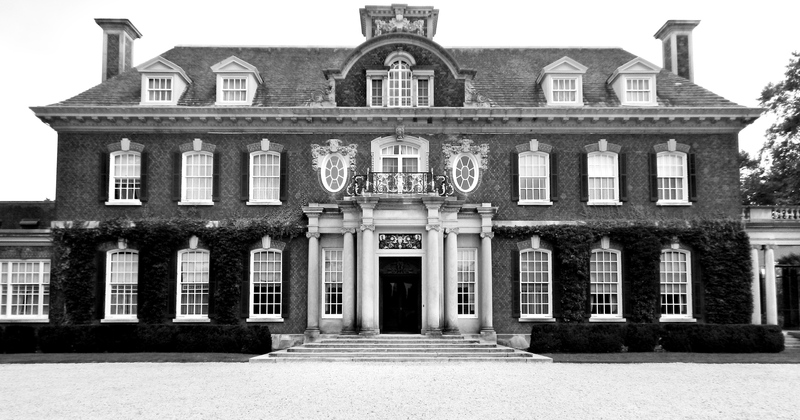 Beyond the dramatic entrance, Westbury House stands proudly at the top of the hill. Westbury House pool and changing quarters. In 1906, John Phipps and Margarita Grace Phipps drove up that same drive for the first time after its completion. Three years prior, the couple had been wed in November of 1903 after meeting in England, where Margarita lived and Phipps’ heritage lay. The two temporarily resided in Beaufort Castle in Scotland before Phipps enticed his bride with a gift she could not refuse. 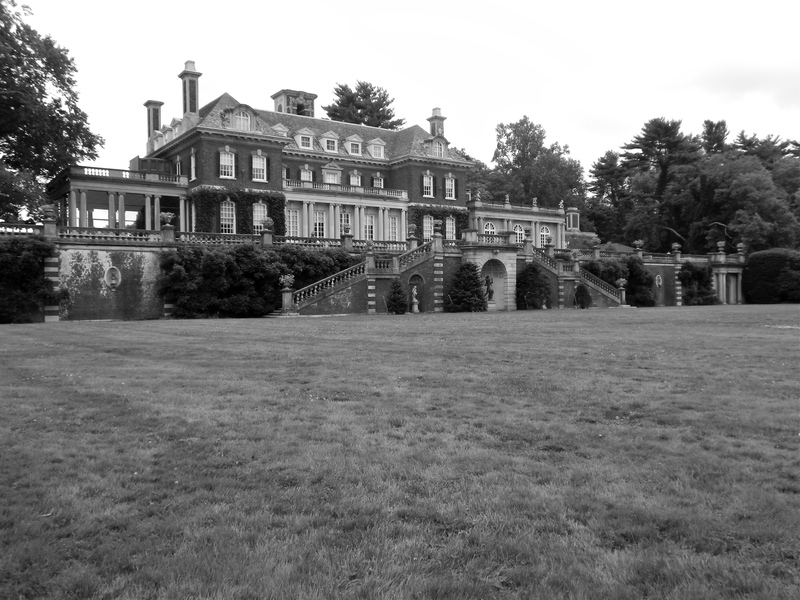 After visiting the newly married couple, established architect, George Crawley, was hired by John to build his wife an English estate east of New York City. With a resume of beautiful, English structures, Crawley was perfect for designing the Charles II styled estate. Phipps attempt to entice Margarita succeeded and soon the two relocated across the pond to New York. Though the palatial mansion was more than enough for most people, it only served the family from September to January of each year. 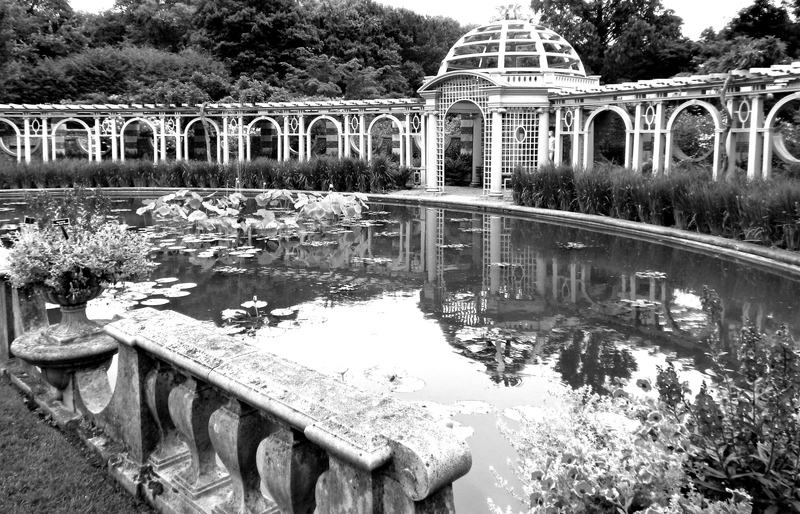 Like most wealthy families of this era, the primary residence of the Phipps family was in Manhattan. Margarita played a vital role in the creation of what has now made Westbury House world famous- the gardens. There are several gardens on the south side of the home, one more beautiful than the last. 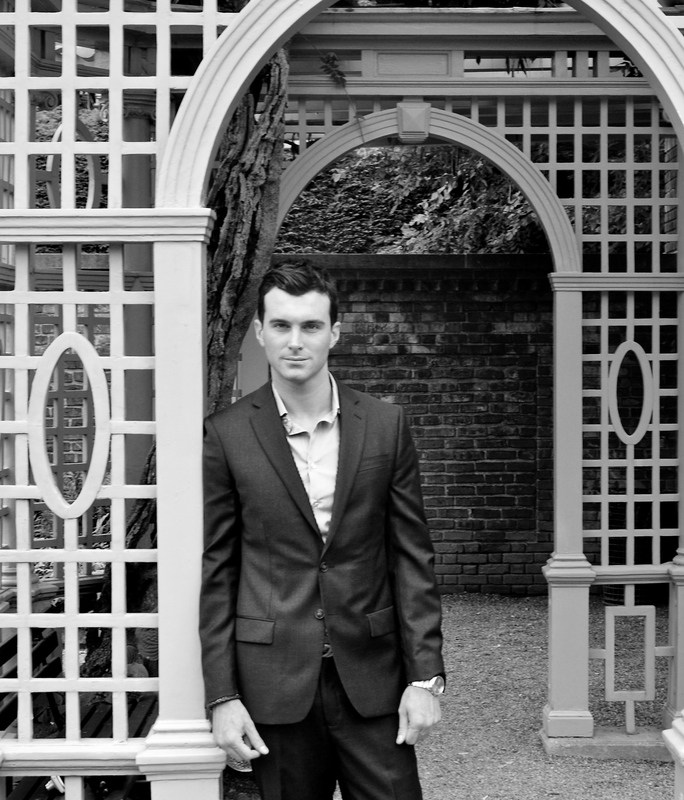 The most captivating is the Walled Garden. 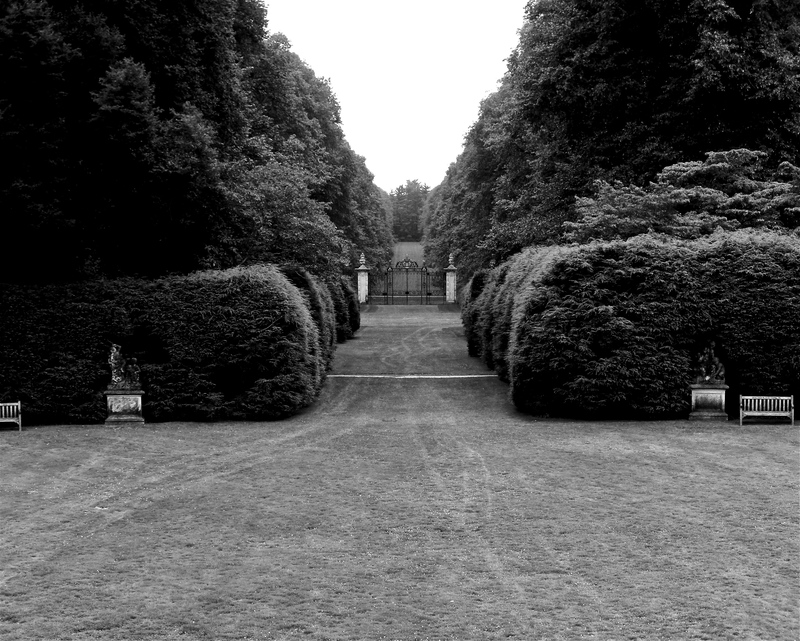 The massive, hedge-filled terrain is completely enclosed by brick walls with several iron gates welcoming spectators to sit fountain side or stroll the endless flower-lined paths. There are more gardens gracing the grounds, but the most incredibly jaw-dropping features are the tree-enclosed paths. The never-ending paths disappear into the darkness of tightly enclosed tree branches that feel plucked from an enchanted movie. The first of such paths left me without words. 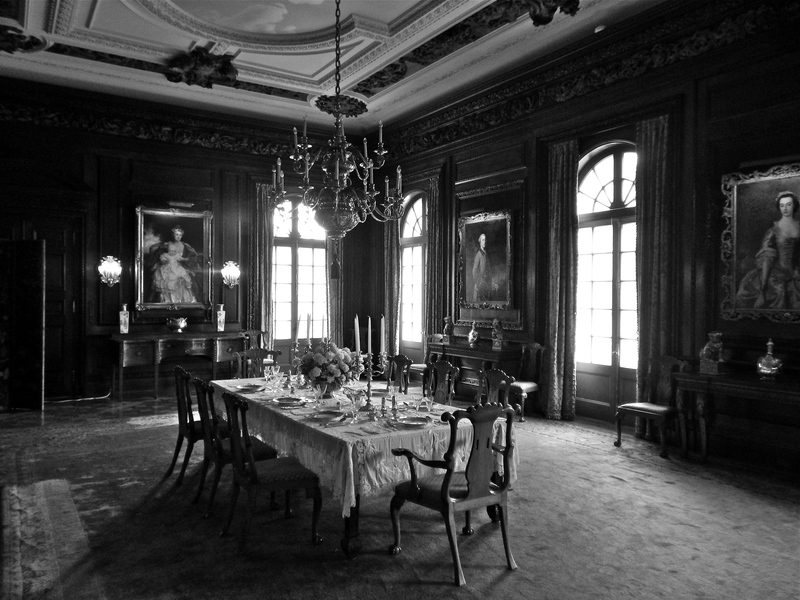 Dining room at Westbury House. After spending over an hour feeling as though I was in the English countryside, I finally caught my first glimpse inside the home. 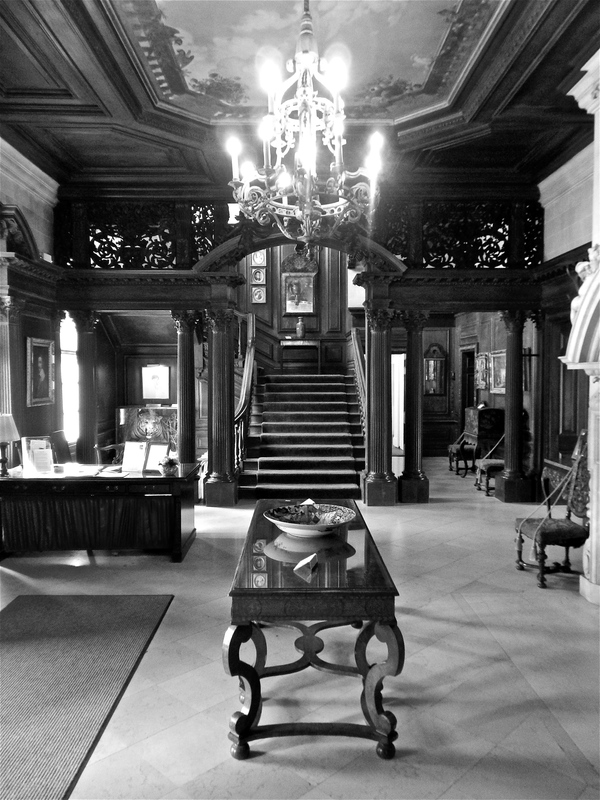 The front entry is comprised of dark paneled walls and an extravagant staircase with rich moldings leading to the second and third stories. The first floor contains: Mrs. Phipps’ study, sunroom, drawing room, grand ballroom, Mr. Phipps’ study, children’s dining room, grand dining room, and servants quarters. All of the rooms are beautifully decorated with the family’s antique furniture and beautiful paintings. Chandeliers spill down overhead from grandiose murals in each regal room. I often felt as if the family was out riding horses in the field and I was an intruder. The footsteps of the Phipps family were eerily present. The second floor houses several stately rooms with opulent wall coverings and elegant furniture. John Phipps was the son of Henry Phipps. Henry, the son of a shoemaker, was raised in Pennsylvania after his family emigrated from England. The Phipps family established a close bond with their neighbors, the Carnegies. Andrew Carnegie, Henry, and his brothers spent many nights in the shoe store conversing about societal issues and dreaming of better days to come. Their strong appetite for success led them to a peak nobody could have imagined. Carnegie went on to start U.S. Steel, which Phipps joined. Phipps later added real estate to his resume. Henry’s son, John, not only enjoyed the pleasure of a rich upbringing, he himself was a real estate developer, lawyer, and financer. Phipps and Margarita also inherited from her father, Michael P. Grace, who owned W.R. Grace & Company, a shipping company in New York City, and Grace Brothers & Co. Ltd. in London, England. Michael was also born with a silver platter himself. 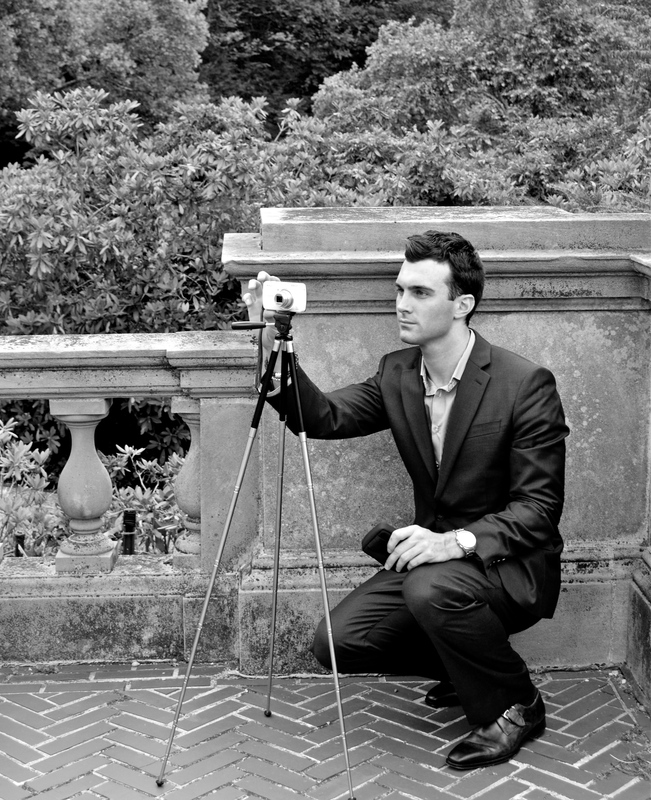 Photo of Matthew James photographing the south side of Westbury House. Taken by James Andrew. 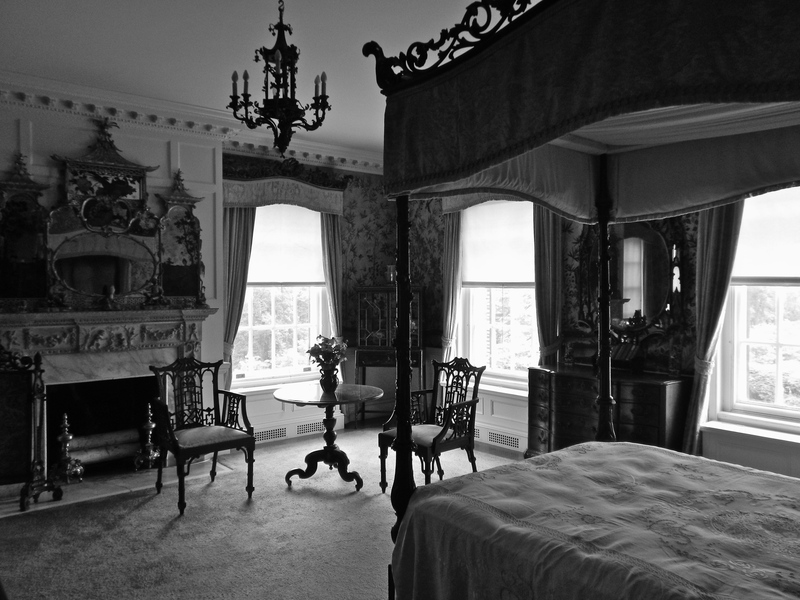 John and Margarita Phipps passed away in the 1950s after spending over 50 years in Westbury House. They raised four children, John Henry, Michael Grace, Hubert Beaumont, and Margaret Phipps. 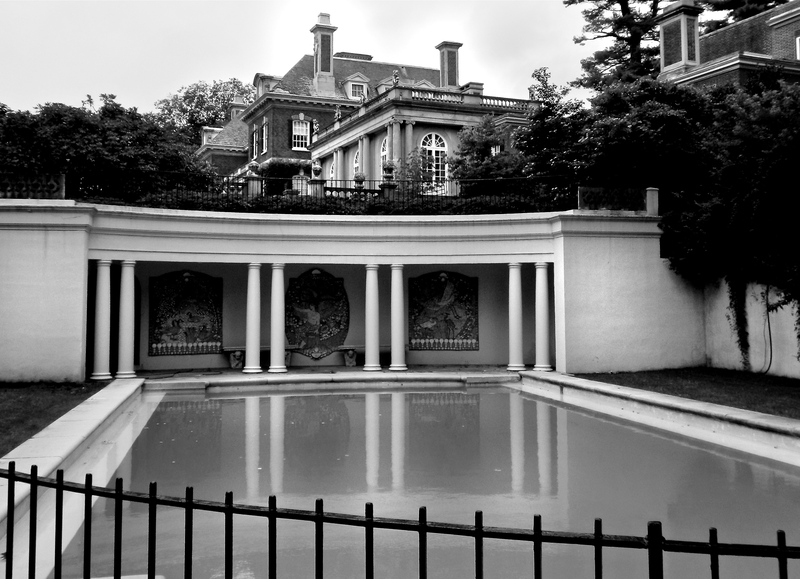 Their daughter, Margaret “Peggy,” donated Westbury House to be used as a botanical garden soon after their deaths in 1957 (M) and 1958 (J). To this day, it is open to the public and showcases various events. Peggie Phipps Boegner, Richard Gachot, Halcyon Days: An American Family Through Three Generations (New York, New York: Harry N Abrams, 2007).